What an amazing journey. Congratulations, Mary! Thanks, Pat. Having looked back, I’m pleased to see how the blog has evolved! You’re very welcome, Chris. Thanks for following!! I hope your writing is going well. 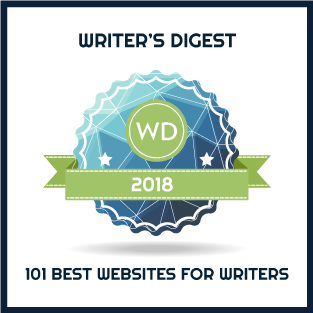 Congratulations with being nominated a second time by Writer’s Digest! I love how concise and to the point your posts always are, yet, brimming with effervescence. It seems, narrowing one’s focus matters (and makes a difference.) As you did in 2012 and then again a couple years later. Many thanks for your feedback, Danie. Encouragement like yours keeps me going!! Mary, I’ve loved the direction of your blog. Especially, as an indie writer, I’ve learned much from your surveys. To find the time to write as beautifully as you do and then write such specific blog posts never ceases to amaze me. Congratulations. Many thanks, Prue. It’s wonderful that I can help others. I am sooooooooooooooooooooooooooooooooooooooooooooo proud of you!! Ps Grand kids are late!! We could have golfed!! Kids!! !